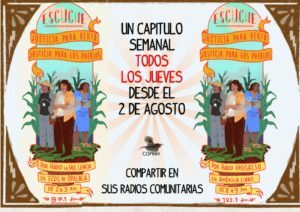 (Español) The trial of eight men accused of being the material authors of the murder of Berta Caceres, indigenous leader and human rights defender, was scheduled to start at 9am on Monday, September 17. Earlier that morning, however, representatives of the family and the Civic Council of Popular and Indigenous Organizations of Honduras (COPINH) filed a motion to recuse the three judge panel – Tribunal 1 of the Trial Court with National Competence in Criminal Matters – from hearing the case. This motion lead to the trial being suspended until a decision regarding the recusal is made by the Appellate Court. In the small courtroom packed with family members, representatives of Indigenous communities, the diplomatic corps, national and international organizations and international observers, the three judge panel presiding over the trial for the murder of Berta Caceres, which was supposed to open the trial at 9am, first proceeded with an evidentiary hearing in another, unrelated case. After finishing that hearing, and running three hours late, the Tribunal opened the trial announcing it had received the motion for recusal presented by the lawyers of the victims earlier that morning. As a result, they suspended the trial until a decision is made by their superiors, the Appellate Court. The motion for recusal is based on two complaints filed by the lawyers for the victims – Berta’s three daughters and son as well as her mother – for the crimes of abuse of authority, concealment, violation of their responsibilities as public functionaries and denying justice (see complaints here, in Spanish Denuncia TS. Bertha-Laura). For close to a year, the lawyers for the victims have been denouncing the disobedience of the Public Prosecutors by refusing to hand over relevant information to guarantee the rights of all parties. The recusal is based on the fact that despite this and various complaints, the Court has refused to act in this matter. 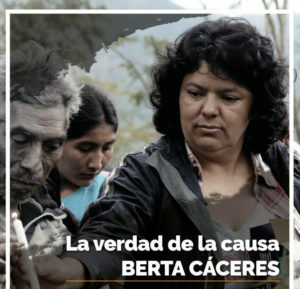 On repeated occasions, the legal representatives of Berta’s family have explicitly asked for information, which the the Special Prosecutor handling the case disobeyed, resulting in no sanction by the Court. “Since January 2018, two judicial order have not been complied with, denying our access to fundamental information. This not only impacts the victims, but also harms the accused and denies the necessary conditions to proceed with the trial,” said Victor Fernandez, one of the lawyers for the family of Berta Caceres. Outside of the Supreme Court of Justice, while waiting for the trial to begin, a peaceful demonstration was held by women representing indigenous organizations together with organized members of COPINH to demand justice for Berta and the Lenca People. The solidarity action, in support of the family and the victims of Berta’s murder, was interrupted by people identified as being close to DESA, the company behind the Agua Zarca hydroelectric project that Berta worked tireless to stop before her murder. They disrupted the peaceful gathering with signs demanding the freedom of Sergio Rodriguez, who worked for DESA and who is one of the accused of Berta’s murder. 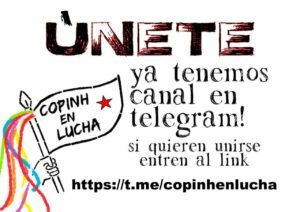 Leaders of OFRANEH (The Black Fraternal Organization of Honduras) and COPINH managed to control the provocation, while State police looked on. Despite the Tribunal having 24 hours to hand over the motion for recusal to the Francisco Morazan Criminal Appellate Court, they did not do so until September 19. According to the criminal court procedures, the Court now has 24 hours to produce a report regarding the recusal after which time the Appellate Court will have to decide whether or not to accept the motion to disqualify the judges of the Tribunal. If it is accepted, a new Tribunal will have be named to proceed over the trial with a new start date. On the contrary, the current Tribunal will continue.